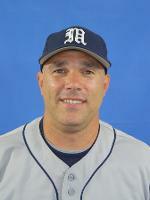 In his eight seasons at Maine, Coach Trimper has led the Black Bears to a pair of NCAA Regional appearances (2006, 2011) He has coached16 players that have been selected in the MLB draft, including seven during his time at Maine and nine while coaching at Manhattan. In addition, he has coached 10 freshman All-Americans. Trimper has spoken at numerous national conventions in recent years, including the 2005 ABCA National Convention in Nashville, Tenn., and the World Baseball convention in Connecticut. The MBCA is excited to have Coach Trimper speak to our association about base running as well as how he develops players.